The cavity will not form overnight. It shows its signs in an early stage. And then it penetrates to the inner layer of the tooth. Before spreading to the next level your dentist can save your tooth with the teeth cleaning process. When you visit the clinic the dentist will thoroughly examine your mouth. He/she will check for the signs of cavity, tartar, and plaque. He checks the health of your gumline or any appearing signs. Then the dentist will apply the fluoride gel. The gritty consistency of the toothpaste scrubs the teeth gently. It gives good polish to the teeth. Once all the process is done the dentist will ask you to rinse. At this point, your mouth will be completely cleaned. The dentist will reexamine and discusses any discomfort you have. He also checks the face, neck, and ears for any other oral issues. Usually, teeth cleaning is done in one visit. But depending upon the severity it may vary. Your dentist will suggest 2-4 visits if you have a deeper level of plaque. Are there side effects from regular teeth cleaning treatment? There is no side effect from the treatment. During the treatment, you may feel a little jaw discomfort. Or you may feel the machine sound scary. But it will not make you any harm. What is oral care after the treatment? There is no special care will be advised. You can do your regular activities. But the dentist will advise you to maintain oral hygiene. This will help you to prevent further forming of plaque. Can I do teeth cleaning at home? There is some toothpaste available in the market which claims that they clean the teeth. They are helpful to remove stains. Once the plaque is formed it will be removed only by the dentist’s clinic only. Hence this toothpaste will help to last the treatment. Where I can find a good doctor? Dental cleaning is the basic procedure, and any dentist in the city can offer this treatment. Although In Sabka dentist clinics we offer high standard professional cleaning with affordable prices. You can find the price and the nearest clinic on our site. Dr. Priyanka Shingore Dental director of Sabka dentist says “as other parts of the body dental health are important. Once the tooth is damaged it will not heal itself. So Dr.Shingore advice regular cleaning as it removes some accumulated plaque which may lead to the cavity”. Dr. Reena Waghela BDS, Dental Director for Clinical Operations at Sabka Dentist says “teeth cleaning removes plaque from the teeth and gums where your brush is hard to reach”. Dr. Jena Shah Dental Director of Sabka dentist says “Brushing can only clean 80% of your teeth. 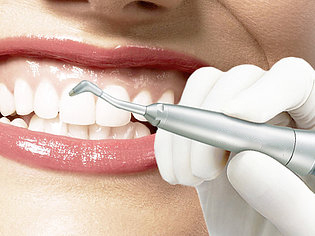 Hence a teeth cleaning is necessary which allows professional to see your teeth”.